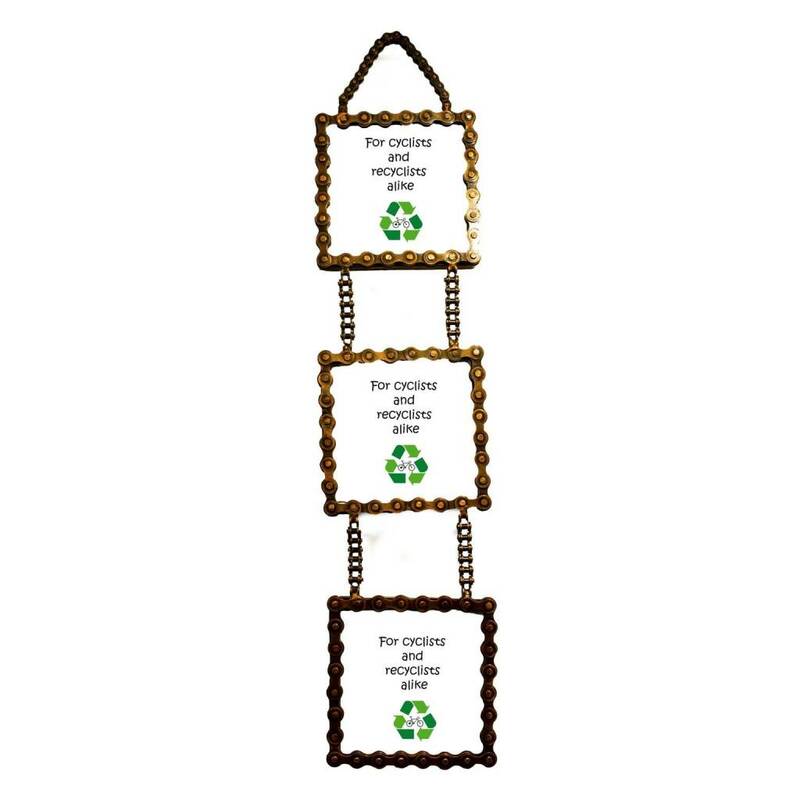 Exclusively at Mira Fair Trade, this 3 Tier Hanging Picture Frame will hold your favorite pictures while being ethical and Earth-friendly! Hang this frame up with pictures of your children, a recent vacation, or family. 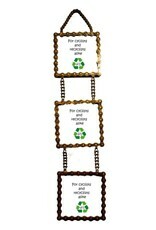 Made using real reclaimed bicycle chains.